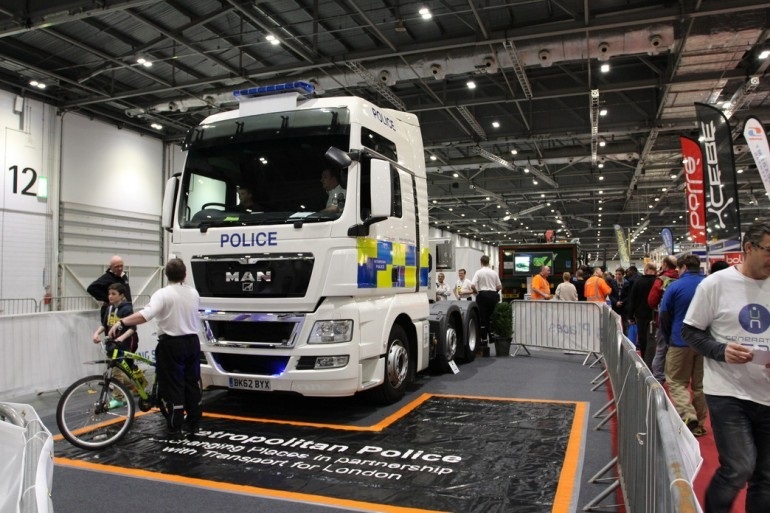 A new virtual reality film, designed to provide vulnerable road users with a better understanding of what HGV drivers can and cannot see, has been launched by the Met Police and TfL. The 360 degree video forms part of the Met’s ‘Exchanging Places’ programme, which addresses the most common cause of serious injury and death to cyclists – collisions involving HGVs. Exchanging Places gives cyclists the opportunity to sit in the driver’s seat of a HGV to see how difficult it can be to see a cyclist riding close to a lorry. Experienced traffic police officers explain how this type of collision often happens and the actions cyclists can take to reduce their risk. The new film, developed by design students from the Royal College of Art, uses a 360 degree camera to show the inside of a HGV, a cyclist passing the vehicle and the driver’s restricted view from inside the cab. “The RTPC is committed to Vision Zero – eliminating deaths and serious injuries from London’s transport network by 2041. “The introduction of this immersive experience for road users, particularly cyclists, contributes to that commitment. “Large vehicles move differently to cars when they turn and are the single biggest cause of bicycle riders being killed or seriously injured. This film shows how these collisions can happen – and more importantly, how they can be avoided. “Also, there are many people who cycle regularly, but due to a disability, are unable to get into an HGV cab and see the danger they can put themselves into when they cycle too close to a truck. “HGVs are disproportionately involved in cyclist and pedestrian deaths, compared to the miles they travel in the capital. TfL is also introducing a ‘Direct Vision Standard for HGVs’, which will be the first initiative of its kind in the world to categorise HGVs depending on the level of a driver’s direct vision from a cab. Under the scheme, due to be introduced in 2020, HGVs will be given a rating between ‘zero-star’ (lowest) and ‘five-star’ (highest), with only those vehicles rated ‘three-star’ and above, or which have comprehensive safety systems, able to operate in London from 2024.